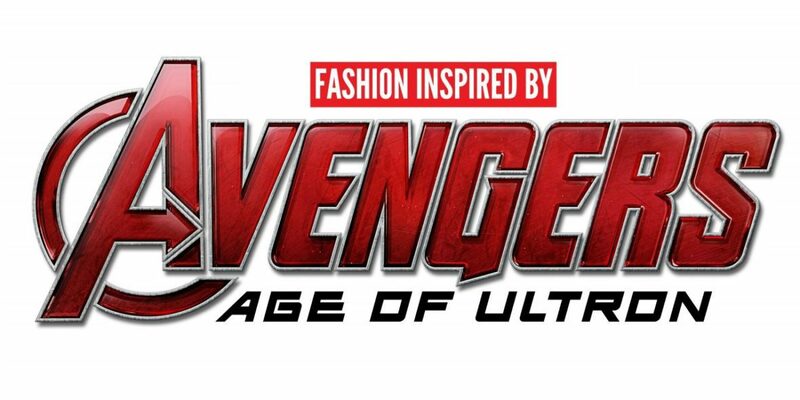 Did you go see Avengers: Age of Ultron yet? I caught a showing over the weekend with my roommates. While I definitely enjoyed the movie, I wasn’t blown away by it like I was with the first installment of the super-hero-palooza franchise. Still, it was a lot of fun! In Age of Ultron, the Avengers unite to retrieve Loki’s scepter from a HYDRA outpost in Eastern Europe. There, they square off against the Maximoff twins, two mutants, ahem, “enhanced” who display remarkable powers that rattle the team. The biggest threat is yet to come though, in the shape of Ultron, Tony Stark’s sentient robot creation. Although Ultron’s intended purpose was to protect humanity and ensure peace, he quickly concludes that the only way to achieve peace in our chaotic world is to force humanity to evolve via mass annihilation. Age of Ultron was directed by Joss Whedon and stars Robert Downey Jr., Chris Hemsworth, Chris Evans, Scarlett Johansson, Jeremy Renner, Mark Ruffalo, Aaron Taylor-Johnson, Elizabeth Olsen, and Paul Bettany. 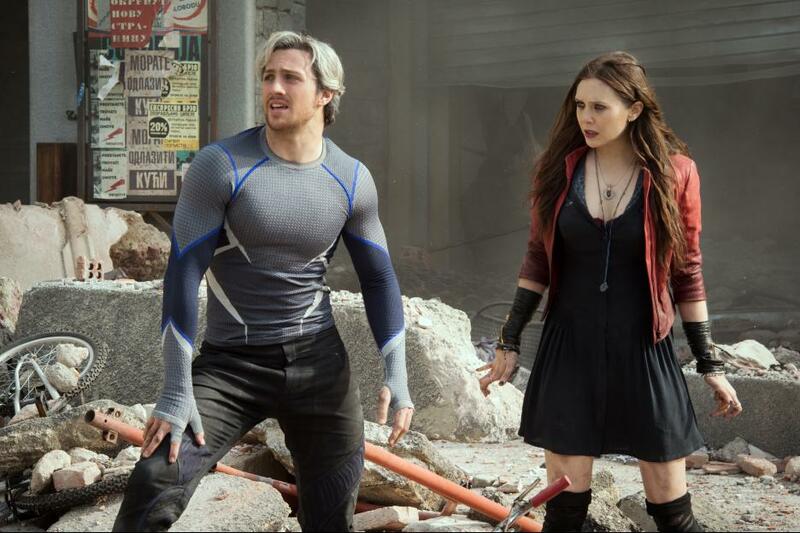 In Age of Ultron, we welcome two new members to the avenging team: the Maximoff twins Wanda (who has mind control and reality-altering powers) and Pietro (who has super-human speed, endurance, and reflexes). Although they’re initially on Ultron’s side, the twins eventually realize that their supposed leader has got a few loose mental strings. Their goal of destroying the Avengers quickly shifts to the goal of preventing global human annihilation. A worthy goal, I’d say. Normally I don’t go for such a literal interpretation of movie costumes, but I loved Wanda’s on-screen look so much that I didn’t feel the need to deviate from the script! 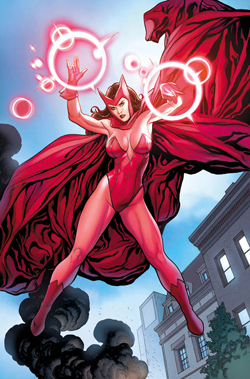 While Scarlet Witch’s comic book costume is kind of insane in an awesome way (giant pink pointy wimple! ), I liked the movie’s emo-punk-rock-mind-control-reality-shifting-girl look. If you ever see me running, you can safely assume that I am a) trying to catch a bus b) about to miss my connection at the airport c) at a Black Friday sale or d) being chased by a rabid platypus bear. If for some reason I ever felt inclined to go running with the sole purpose of running though, I’d probably opt for a Pietro-inspired ensemble. 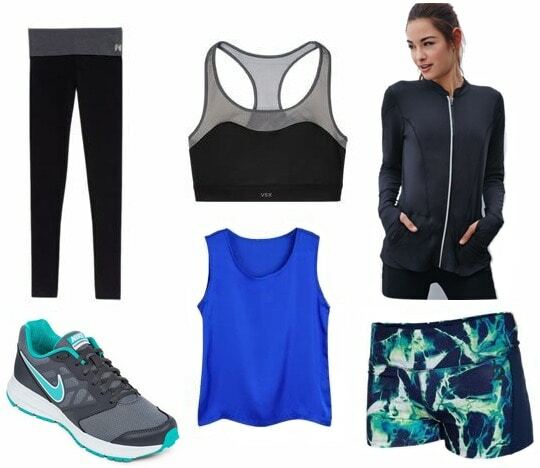 Zip up a streamlined track jacket over a cobalt blue tank and a futuristic-looking mesh sports bra. For a sophisticated take on Helen’s futuristic costume, pair a sleek white pencil skirt with a powder blue cutout top. Next, accessorize with stark white pumps and lucite earrings. As a final touch, sweep your hair up into an elegant chignon and slip on a double helix ring as a reference to Helen’s job. Would you wear these outfits? 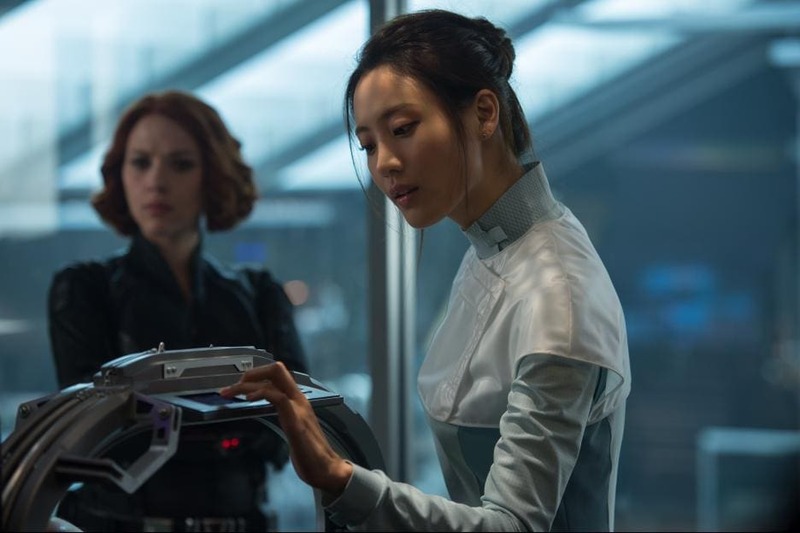 Have you seen Avengers: Age of Ultron? What did you think of the movie? What other geeky inspirations would you like to see? Let us know in the comments!